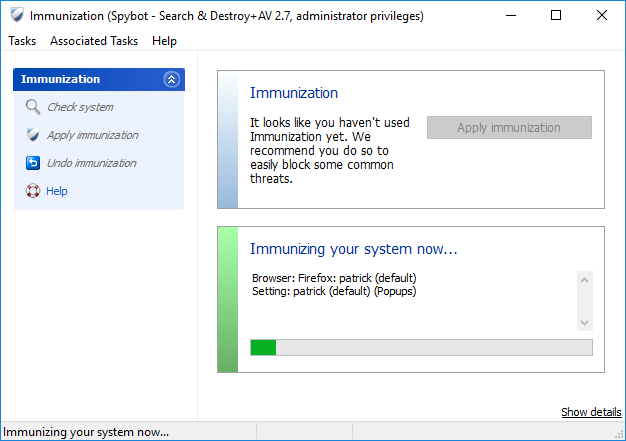 Immunization pro-actively protects your system against malware attacks by blocking access to sites known to contain malicious or unwanted software. It also blocks tracking cookies and browser plugins that are known to contain malware. Immunization supports many popular browsers, including Internet Explorer, Opera, Firefox and Chrome.